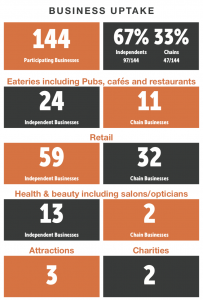 Articles and advertising in Chichester Observer from Independents Month features in July 2018. Window stickers, Till wobblers, “Where to spend your gift card” leaflets. Prize draw/Word search competition on launch in partnership with Chichester Post. Christmas advertising in the local press as part of the Chichester Festivities advertising campaign. 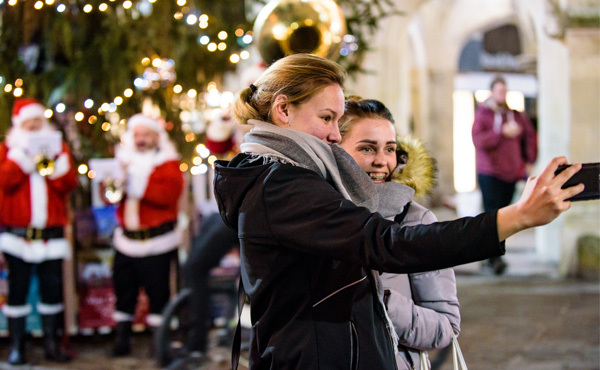 BID’s sponsorship of Spirit FM’s new digital station “Christmas Spirit” from 1 Nov – 31 Dec 2018. The card was used in the pop-up image on the Spirit FM website, as well as targeted messaging via the station throughout the period. Competition prize for Spirit FM Advent Calendar – the best performing prize in the station’s history for this promotion. 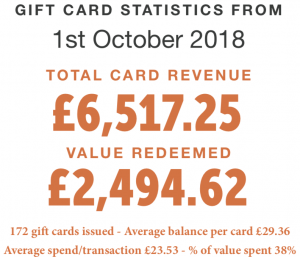 Gift Card message included in Newsletter since June 2018 with cover story/front page article in BID August, September, October and November Newsletters. Advertised inside Nutcracker Trail Leaflet (5,500 copies) – also given as a prize for the Trail. Advertised in Chichester Christmas Festivities Brochure (10,000 copies). 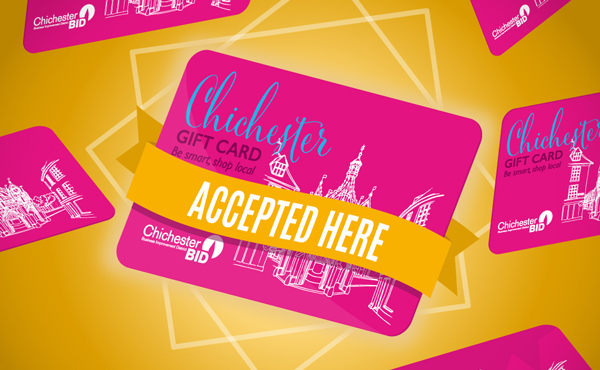 The Chichester Gift Card can currently be purchased in any one of four locations: BID Office (website), Dartagnan, Creations and the Novium. There are also 3 x Click and Collect outlets (Bills, Drapers Yard and Hair on West Street). These specific locations were chosen to give an even spread across our shopping areas. Red Cross, Cloth Kits, Crabtree & Evelyn, Creations, Crew, Dartagnan, Duke & Rye, Good News, Ernest Jones, Fat Face, Glorious Spa, Hair at No 4, Holland & Barrett, H Samuel, Hotel Chocolat, HMV, Joules, Lakeland, Little London Café, Luckes, Mistral, Mountain Warehouse, New Look, Number 40, Present Surprise, Purchases, Q Hair & Beauty, Shake-a -delic, Smitten, Sussex Cleaners, The Nags Head, T K Maxx, Top Shop, W H Smith, Whirligig Toys, Zigzag.